Aside from a general lack of investment into the story (e.g. 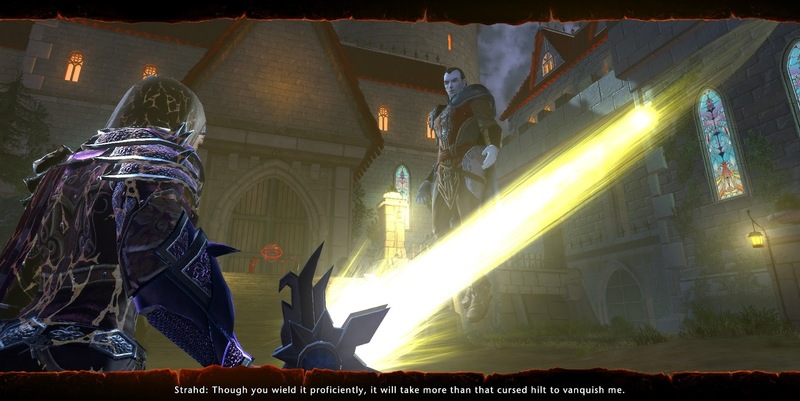 stuff like characters talking without moving their lips in cinematics), Neverwinter's biggest problem with story at endgame is that it tends to just... fizzle out. You go into a new area with a grand plan to handle X, do some dailies to help things along, until eventually, you get sent into an epic dungeon with a high gear requirement to defeat the big bad. For many the story ends right there because they can't keep up with the investment required to be able to participate in high-end group content, but from my limited experience even completing the dungeon doesn't usually provide a lot of closure, with no aftermath or epilogue. They didn't exactly solve that problem in Ravenloft, but at least they have a noteworthy solo instance that has you deal with the immediate threat and which features some fun mechanics. Yeah, you're still supposed to do Castle Ravenloft afterwards to actually defeat Strahd, but at least you've achieved something if you never make it to the end. Plus the Sunsword was just a riot. The Swords of Chult module introduced a new quality of life feature that I managed to miss completely until I saw someone bring it up in a random reddit thread: Signets of Patronage. Basically these are tokens that you can craft with campaign currency once you have completed a given campaign and which you can then pass on to your alts in order to reduce the amount of time and currency it will cost them to complete the campaign, by doubling reputation gains and cutting the cost of most campaign tasks in half. This is great because completing campaigns on alts is a massive grind (to be honest, it tends to be a massive grind the first time around, but we tend not to mind so much when everything feels new and exciting), and up until now Cryptic's only concession to this has been to give people the option to buy campaign completion with real money instead of playing. Yeah. As someone for whom the latter is completely out of the question, I'm pleased to finally have an in-game way of speeding things up for my alts. Mind you, compared to similar features in other games, such as SWTOR's legacy perks, the signets' benefits still feel pretty anaemic, especially since they are single-use consumables, so you'd have to craft a new one for every single alt for every single campaign. Still, it's better than nothing. I've crafted one for Storm King's Thunder and one for Cloaked Ascendancy for my rogue and we'll see how much of a difference it makes. So far progress feels quite swift, but then it always does in the early stages. 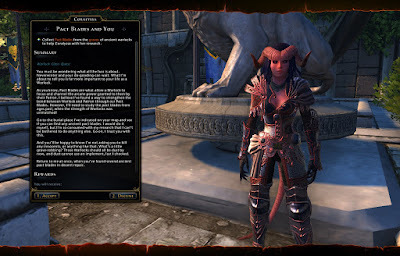 I've previously written about how Neverwinter's class and race quests are a kind of under-appreciated feature, and while levelling my warlock I was fascinated to see how Cryptic had initially iterated on the concept before abandoning it. You see, unlike the other classes, the Scourge Warlock doesn't have to hunt down quest givers in the middle of nowhere with nothing but a letter as a hint: They get their very own warlock friend hanging out in Protector's Enclave, making it much harder to miss her quests. I completely skipped the Summer Festival last year, so I thought it would be fun to revisit it this year. Especially since some of the cosmetic rewards are really nice and actually quite easy to obtain. Somehow... it all seems somewhat less fun than I remember though. I forgot just how much I dislike the water fight event for example, simply because I'm absolutely terrible at it. My current strategy is to run in and throw balloons until I hit someone, then run out of the area before I can get hit back, as I'll just end up with a score of zero if I stay. And Sahha! I remembered that being decent fun despite of its slowness, but now it's just driving me nuts. They should just put a fence around most of the playing field, because it's way too easy to knock the ball out of the area, and with every reset creating 15-20 seconds of downtime you spend more time just standing around and twiddling your thumbs than actually chasing the ball, and that for ten whole minutes. It's ironic that the Sahha ball quest giver tells you that gathering the raw materials for your own ball is much more time-consuming than getting one from actually playing the game, when in reality it's the other way round. 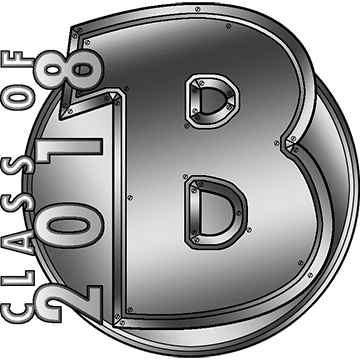 While Storm King's Thunder was the last of the "old" campaigns where I still had boons to finish, I had some leftover business in the River District for the last couple of weeks as well. I couldn't help but think about how my opinion of that campaign area has changed. My initial impressions of it were really positive - and I still think that the map is very nice for example, and that its weekly quests are inventive. However, what I initially considered a nice variety of daily activities unfortunately ended up feeling pretty dull over time. With no particular reason to do one thing over another, it eventually just became a matter of doing whatever's easiest/fastest until you've reached your daily goal. From my recent experience the most popular choice for this seems to be running the small heroic encounters - there are often "trains" going for them that just run in circles doing one after the other, and even a small group is enough to make them go down quite fast. That's not exactly a bad thing, but after a while I really started to miss the direction provided by quests. Without them your daily goal just feels too much like random mob grinding. Chult had this problem too to some extent, and I'm glad to see that Cryptic seems to have back-pedalled on this, with Barovia once again offering a nice amount of quests to provide structure for your daily adventures. 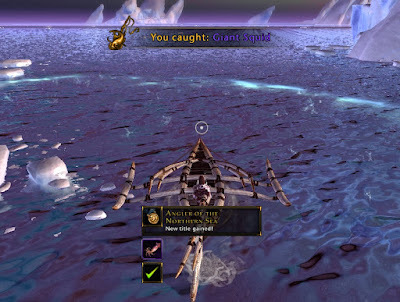 At the same time as finishing Storm King's Thunder, I also got the Angler of the Northern Sea achievement (catching/finding one of each type of fish in Sea of Moving Ice). I was inspired to go after it after getting Angler of the Soshenstar, though unlike the latter this one actually required a fair amount of work. Basically I tried to go to a different fishing spot every time I got the daily fishing mission for several weeks, eventually using this guide by DDM's Realm to keep track of which locations I still had to revisit to get the last couple of fish I was still missing. It was time-consuming, but I thought the amount of randomness and grind required was just right to not feel annoying. I've been displaying my new title with pride, as it stands for one of the rare accomplishments in this game that can't be bought or fast-tracked with real money (at least as far as I'm aware). I'm really enjoying the new content in Ravenloft, but it also seems to be one of the buggier modules. Some people have been reporting constant crashes, to the point where it made the game unplayable for them, which is fortunately something that hasn't affected me personally. However, I've seen plenty of bugs around the world. While doing the rounds in Barovia I ran into two quests (out of five or six) that were so bugged that I had to drop them (though oddly, another time I managed to complete them successfully, so these particular bugs might not be entirely straightforward). Many of the new heroic encounters also seem to suffer from issues with spawn timers, so that you get situations such as being asked to "rescue hostages" but there are only a couple of mobs to kill and nobody to rescue... until ten minutes later, when the hostages suddenly spawn in. However, the issue I currently find the most annoying is that when you're in Barovia, most of the time you can't see any of the other map instances except for one or two (while numbers indicate that actually there are more than thirty instances up). This makes it hard to casually hop around different maps to join groups for the big heroic encounter whenever it's up. Even going old school and asking for a group invite might not help, as I've gotten a nonsensical error message every time I tried to use the "transfer to their instance" prompt while grouped. Even leaving the map and coming back in only sometimes works to unite you with your group mates. It speaks for the quality of the module that people are playing enthusiastically despite of all these issues.